Beat This Caption Contest 85 – Caption Contest Funny Clever Witty Enter Today! 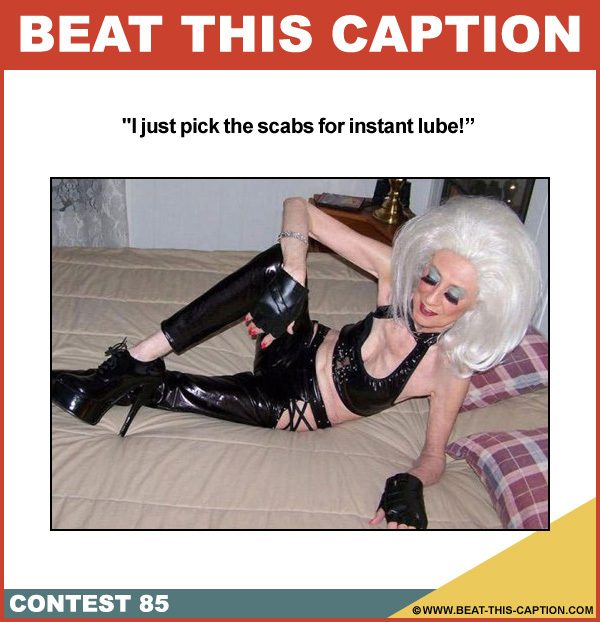 I just pick the scabs for instant lube! Mar 11th – Mar 17th 2012.